We offer you to participate in one of the British Business Club team. Those who would like to attend with their playing friends or just to spectate. Just make a team of your friends or colleagues, if you don't have enough players we can top it up. You can make your own team of 4 players, or you can register as a single player and join one of the British Business Club team, or you can join us as a spectator. This is a charity event. 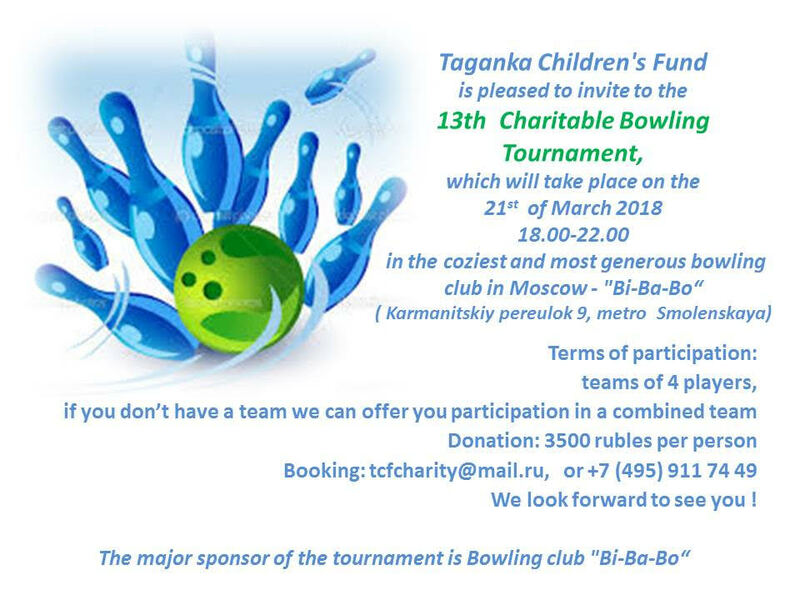 All collected money will go to Taganka Children's Fund programs. We need your support! View Photos for past bowling tournament.